Let's suppose you are considering a first mortgage investment of $100,000 on the purchase of a $200,000 little office building. The buyer is putting $40,000 down (20% of the purchase price), and the seller is carrying back a second mortgage of $60,000 (30% of the purchase price). A first mortgage loan of only 50% loan-to-value sounds attractive; but keep in mind that if the deal goes bad, second mortgage holders rarely bring first mortgages current, and if they do, they almost never keep up the payments for long. You will recall that if the borrower defaults, the second mortgage holder will (almost always) be wiped out if the first mortgage goes to foreclosure. This is true even when there is a lot of equity in the property. Why? Because (almost) no one ever bids at foreclosure sales. Therefore, the only way for the second mortgage holder to protect himself is to bring the first mortgage current and to keep the first mortgage current while the second mortgage forecloses. In real life, this almost never happens. In fact, I have owned Blackburne & Sons, a hard money lender, for over 30 years, and I can think of very few cases where a second mortgage holder actually brought our first mortgage current. More importantly, there has not been one case in over 30 years where a second mortgage holder has kept our loan current while he foreclosed himself. Not one. 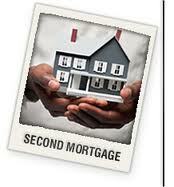 The wise first mortgage investor will therefore never rely on a second mortgage holder to bring his loan current. This is not an offer to sell first mortgage investments. An offer is made only through an Offering Circular. Investing in first trust deeds and first mortgages involves substantial risk. Please be sure to carefully review the Risk Factors section of the Offering Circular before investing. A substantial and prolonged decline in real estate value is possible. Please click here for more information on first mortgage investments. When a trustee holds a Trustee's Sale (foreclosure sale) or when a sheriff holds a Sheriff's Sale, the reality is that almost no one ever bids at these sales. Even if a lender is entering a credit bid of just $600,000 on a property clearly worth $1 million, 95% of the time no one else will bid more than $600,000. 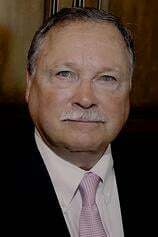 I have been the owner of Blackburne & Sons, a hard money lender, for over 30 years, and I think we have been outbid at just two foreclosure sales. So why doesn't anyone bid at these sales? The biggest reason is that bidders have to bid all-cash. In other words, a bidder would have to bring a cashier's check to the foreclosure sale of $600,000. Who has that kind of cash? Another reason is that the bidder takes the risk that there may be some title issues or easement issues. In a normal sale, the buyer gets title insurance to indemnify himself against these risks. Lastly, a great many foreclosure sales get delayed at the last moment. After painstakingly investigating title and after raising a whopping $600,000 in cash (cashier's check), the bidder will frequently have to wait around for a sale that gets postponed time and time again. It's so discouraging that most potential bidders just give up. There is an exception to this general rule. If the property being foreclosed is an inexpensive home - a deal where the bidder would only have to raise $50,000 to $100,000 in cash - it would not be surprising to see one or two bidders competing to buy the property. Please click here for more information on first trust deeds. The country's most sophisticated real estate investors are all buzzing about primary markets. A primary real estate market is a major metropolitan area that is enjoying significant job growth across a diversified spectrum of industries and a material net inflow of new residents. Examples of primary markets in the United States include Washington, D.C.; New York City, Boston, Chicago, Los Angeles, and the San Francisco Bay Area. If you are going to invest in first trust deeds, you should try to invest in loans secured by real estate located in a primary market. Why are primary markets so important? Demographers, social scientists, and futurists point out that most new job creation starts in densely populated areas, where workers from different industries meet, mingle, and share ideas. Since most of the new job creation in the United States is occurring in primary markets, the population of the country is destined to migrate there, creating even denser concentrations of people. 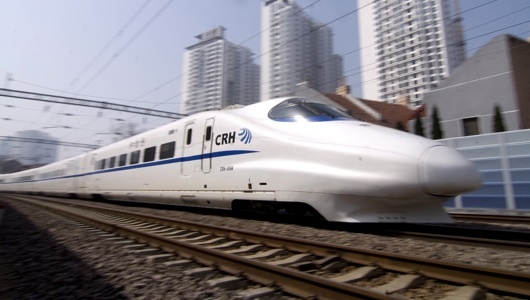 According to George Friedman, author of the best-selling book, The Next 100 Years: A Forecast for the 21st Century, high-speed rail will connect two nearby major cities to create mega-cities. The population will live in suburbs along the rail lines. Bottom line: If you are going to invest in first mortgages, you should try to invest in loans secured by properties located in primary markets. Please click here for more information on first trust deed investments. All else being equal, a good argument can be made that purchase money first trust deed investments are often less risky than refinances. A purchase money loan is one where the loan is being used to buy the property. In a purchase money deal, the value of the property is usually established in the open market, where knowledgeable buyers and sellers, neither under any undue pressure, negotiate back and forth to arrive at the agreed sales price. In contrast, any refinance must be based on an appraisal. Unfortunately, real estate appraisers - even the honest ones - are quite often wrong. Appraisers are often wrong for a number of reasons. Sometimes they are just plain incompetent. Fortunately, the states now test and license both residential and commercial appraisers. Commercial real estate appraisers must enjoy the General Certified Appraiser designation, which indicates that they have taken formal classes in commercial real estate appraisal and have passed exhaustive tests. Therefore the competence of the appraiser today is less of an issue than in years past. However, it has been my observation that appraisers often fall in love with the borrower. Since appraising is a subjective process, there is usually a 20% swing in the valuation that an appraiser can justify either way. The valuation of a $400,000 building might easily be justified as low as $320,000 or as high as $480,000. If the appraiser likes the borrower, he might be tempted to bring in the appraisal at $480,000. There are other reasons why appraisers are so often wrong. Some charismatic borrowers can make persuasive boasts about the value of the property or the demand for the space. "Tenants are beating down my door to lease this space." Such charismatic borrowers can dramatically influence the opinion of a human and fallible appraiser. Sometimes good sales and leasing data is either outdated or unavailable. The appraiser then has to take data from different locations and make some sort of subjective adjustment because the subject property is either better or worse. These adjustments are little more than guesses. Then, of course, there is outright appraisal fraud. Bottom line: If you are looking at two different first trust deed investments, the purchase money loan may often be the less risky investment because you do not have to reply solely on some appraisal. Is This a Good Time to Invest to Commercial First Trust Deeds? Commercial real estate has lost at least 40% of its value since 2006. Banks are reeling from their losses in commercial real estate loans. Of the 100 banks with the largest percentage of commercial loans in their portfolios, 42 of them have already been shut down by the FDIC. Many private investors in commercial first trust deeds made prior to 2007 have suffered painful losses. Now is not the time to be investing in commercial first trust deeds. Or is it? Consider the following scenario: An office building legitimately appraised for $1 million in 2006. A bank made a $700,000 loan against it. In late 2007 the Great Recession started. Commercial real estate fell by 40%, dropping the value of the building to just $600,000. By early 2008, the tenant defaulted on his lease and moved out. The investor/owner tried to carry the mortgage payment on a vacant building out of his personal savings for several months, only to finally capitulate and default in late 2008. By mid-2009 the bank completed its foreclosure. The bank finally sells the office building as an REO for $600,000 in early 2011. The buyer is an investor with a 700+ credit score. 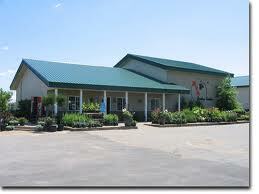 The buyer is prepared to put 40% cash down, and he is looking for a new commercial first trust deed of just $360,000. The buyer approaches his own bank, and several other banks in town, but no bank will write the loan. They are too nervous to finance commercial real estate right now because of all of the blood that is running in the streets. In addition, the property is vacant. So the buyer goes to a hard money broker about a hard money loan of $360,000. Is this a reasonable loan? Would it be a wise first trust deed investment for some private investor? A good argument can be made that now is a fine time to be investing in commercial first trust deeds. A loan of $360,000 is just 36% of the property's value in 2006. The buyer is putting 40% cash down. This means he has a lot of skin the game. He is not likely to just walk away from a $240,000 down payment. The buyer has excellent credit. Most important of all, the loan is based on an actual, arm's length purchase. 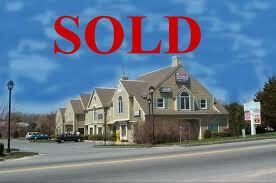 We have finally found a price at which the property can clear the market; i.e., find an all-cash buyer. It's terrifying to make new commercial real estate loans in the midst of a bloodbath; but sometimes the best time to invest is when blood is running in the streets. At no other time in the past 12 years could a trust deed investor regularly expect to be able to make a 12% commercial real estate loan to a wealthy investor with excellent credit on a standing commercial property at such a low loan-to-replacement cost ratio. Most other times some bank would have snatched up such a deal and offered the borrower a loan at less than 8% interest. The deal described above is just a hypothetical deal. It's sole purpose is to stimulate your thinking and to open your mind to the idea that there may be some interesting commercial first trust deed investment opportunities out there right now. Six years ago I was walking along Park Avenue in New York City with a wise, old veteran of the mortgage wars. He pointed to a nice apartment building and commented, "Did you know that Jackie Onassis, the former wife of John F. Kennedy, used to rent an apartment in that building?" "Rent?" I asked my buddy, "Did you just say rent? Jackie Onassis was once one of the richest women in the entire world, and she was just renting? She couldn't afford to buy a condo in the building?" 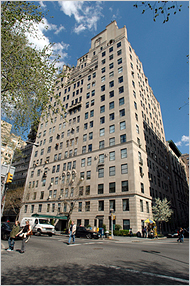 "George," my wise old mentor said to me, "the old-money family that owns that building along Park Avenue would never sell it. They don't need the cash, and there may be no better investment in the whole world. So, yes, if Jackie O wanted to live overlooking the Park, she had to rent, rather than buy, her apartment." It was at that moment that I had an epiphany. No matter how bad the recession/slump gets, Jackie O was not going to default on her rent payments, nor would many other wealthy business owners. I now call this concept, The Top 40% Rule. No matter how bad the next economic slump may get, the top 40% of all commercial properties will probably still stay rented - either to the original tenant or to a new tenant found during the slump. Someone will still have money, and those that have money will only want to rent one of the more attractive, modern, and/or best-located properties. Japan's depression lasted for 20 years. Who knows how long the Great Recession will last? There may be a double-dip in the economy, and maybe even a third dip. After all, there were three sharp and distinct downward legs to the Great Depression. The wise first trust deed investor will therefore look to only invest in mortgages secured by properties in the top 40% of desirability. There is, of course, no guarantee that any property will stay rented; but if you are forced to foreclose on a vacant building, at least then you will be able to compete for a good tenant.